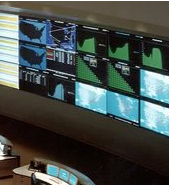 The NOC at TowardEX Technologies in Boston, MA oversees the entire global OCCAID network infrastructure. Serving as the nerve center and first-hand responders to all network troubles, the NOC is staffed and runs 24 hours a day, 7 days a week and provides monitoring around-the-clock. The NOC provides a structured environment that effectively coordinates operational activities with all members and vendors related to the functions of the network. Furthermore, the NOC offers oversight of problem, configuration and change management, network security, performance and policy monitoring, reporting, quality assurance, scheduling, and documentation. The Data NOC at Host.net in Boca Raton, FL manages all sevice delivery and data circuits on the global OCCAID network infrastructure. Host.net, as the fastest growing tech company in South Florida is the leading provider of national transport and aggregation circuits throughout key markets served by OCCAID. Staffed and running 24 hours a day, 7 days a week, the Data NOC at Host.net provides around-the-clock monitoring of the critical infrastructure circuitry and coordinates with the IP NOC and vendors on all operational activities related to the functions of the network.